Icomania - The brand new trivia game! Games for Friends, a very popular trivia app publisher, has now come out with another great app that utilizes many different icons and mixes them up in a great new game idea. 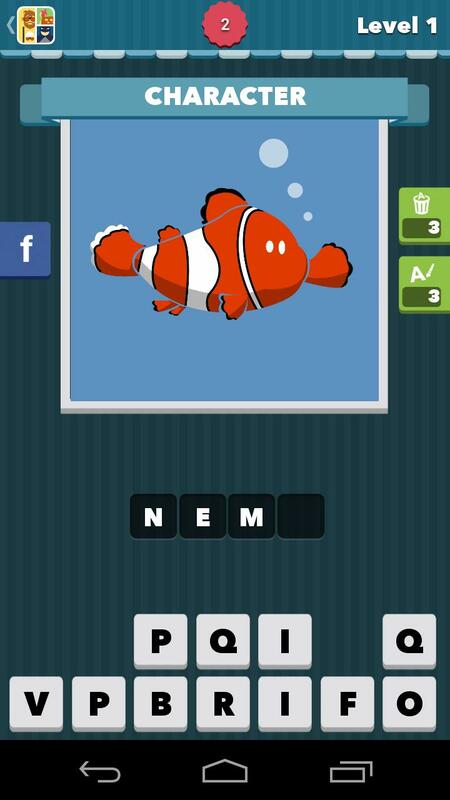 Icomania is an exciting game with funny tiny drawings that prompt the player to solve a riddle. 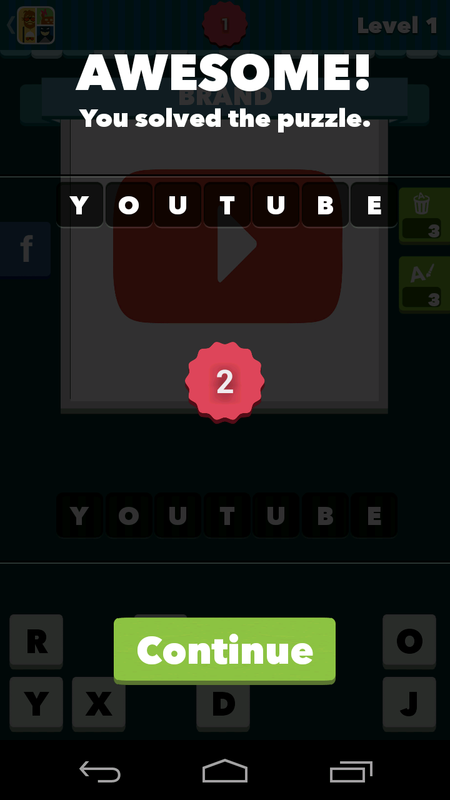 It's similar to the ''4 Pics 1 Word'' app that we also recently reviewed. Discover how fun this game really is in our app test review. Presenting the trivia game: most of the people who know this type of game end up loving it. It offers lots of fun and can be found on most user's smartphones. The player gets a picture, which presents multiple icons. These small images look as if they were cut out by hand. In the bar below, you'll have to enter the solution from the letters they give you. Sometimes you get difficult play-on-words that will get your brain gears turning. The images are of well-known icons, people and objects. I give high marks to the design of each individual icon, which are very easily recognized and don't cause any frustration. Sometimes you do come across a puzzle that is too difficult to resolve and you're stuck in one level for a long time. So what do you do now? There is a limited amount of help methods or life-lines. You can either buy tips (a point that I highly critique) or you can simply Google search the answer. This is a quick method to completely resolve the tables and other puzzles. There are over 100 levels that provide for a lot of diversity and I'm sure the developing team will create more levels over the next little while. I personally like the game principal and game jokes ''4 Pics 1 Word''. This is my own personal opinion that is maybe not shared by everyone. Fact of the matter is, both apps are doing really well in the Play Store and have similar content, but different ideas. For those who wish to try out Icomania, I'm sure it will offer you many hours of fun. 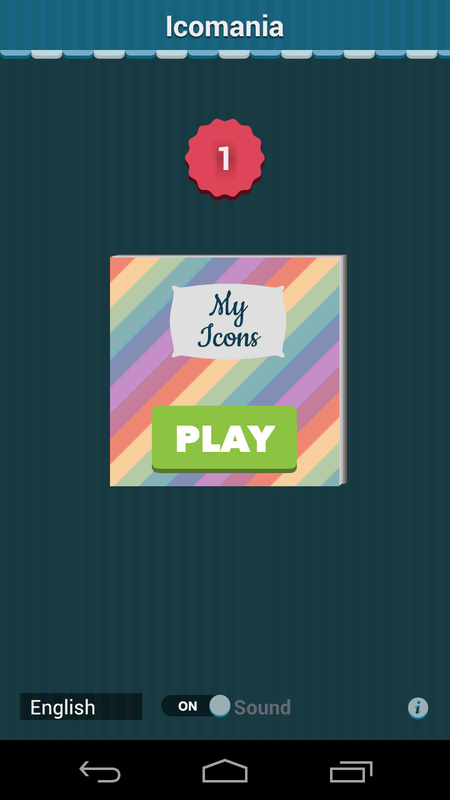 Icomania worked well and has a sleek and simple design. You can choose the language and the icons of people and symbols were really easy to recognize. 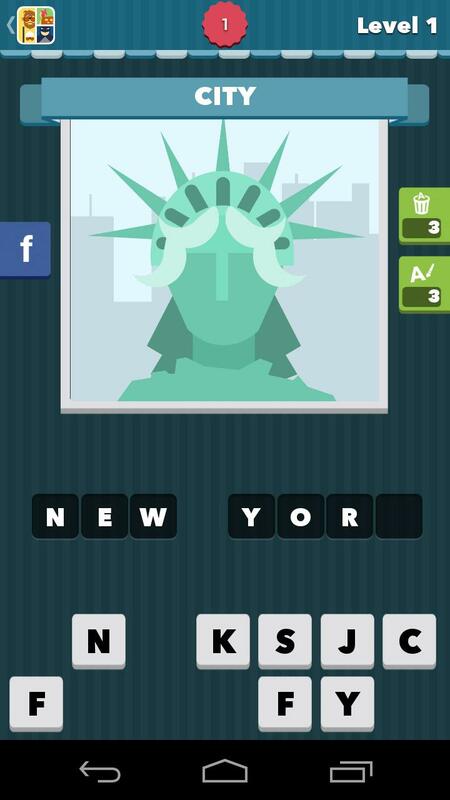 Icomania worked smoothly, without crashing. Icomania can be acquired in the Play Store for free. Just like other games that this developer put out, you have the option of buying the answers to quizzes. This is by all means ok with a free app, but I don't recommend spending money at all, since the answers can easily be found on the internet. Other than that I give the app high points in this category.